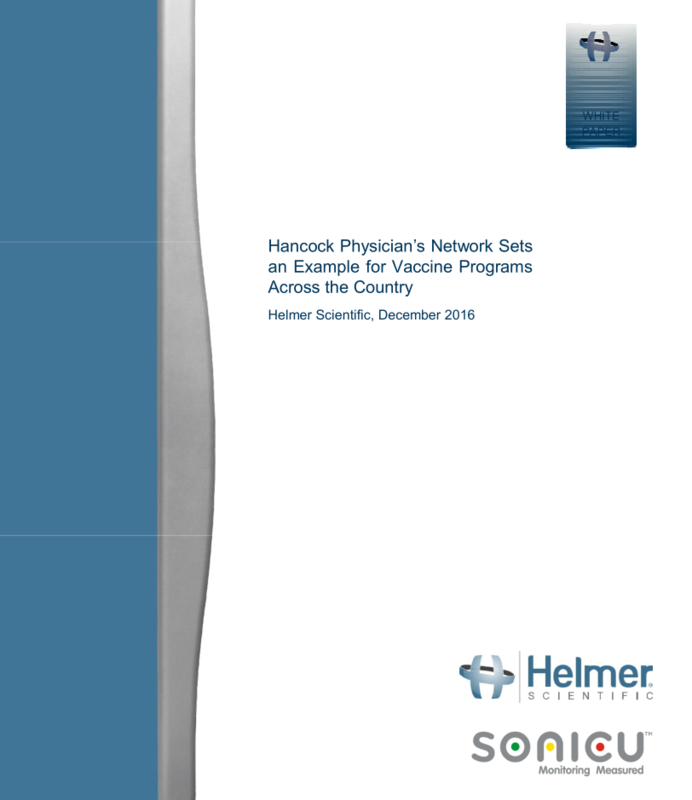 Find out how Hancock Physician Network eliminated costly vaccine losses due to power outage and faulty equipment by upgrading their network refrigeration system with Helmer Scientific refrigerators and freezers equipped with Sonicu wireless temperature monitoring. In addition to 24/7/365 temperature monitoring that meets stringent VFC requirements, HPN staff enjoys automated logging and reporting for simple, consistent regulatory compliance. Raise the bar on your vaccine storage system today by filling out the form below.